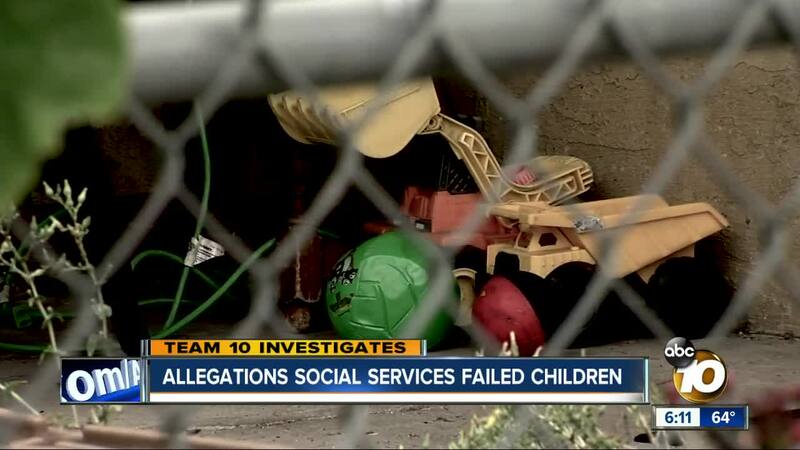 A San Diego County woman claims social services didn't do enough to warn her of potential risks. 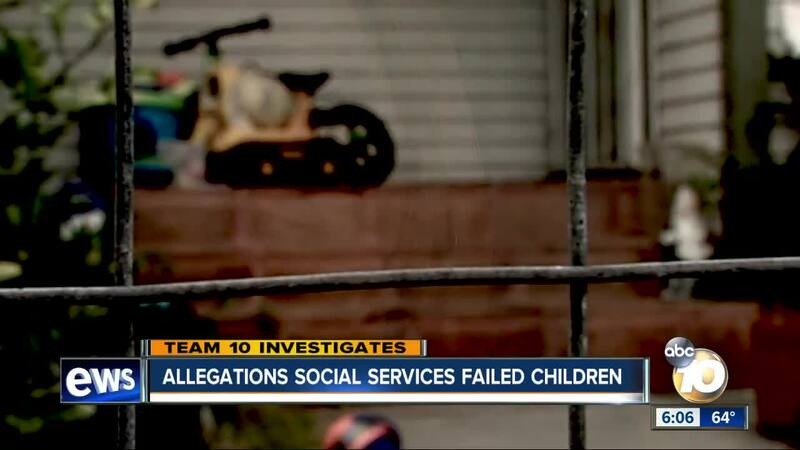 SAN DIEGO (KGTV) - There are disturbing allegations that the foster system in San Diego County failed children it was supposed to protect. Critics question whether the rules of confidentiality designed to protect children are doing more to shield social services from scrutiny. "My children are going to have to live a lifetime trying to get over and deal with this trauma,” said Melanie. 10News is not sharing Melanie’s last name to protect her adopted children. She is an adoptive mother and foster parent. "I became a foster parent because I did want to make a difference in children's lives that didn't have families,” she said. Melanie said she became a foster parent about a decade ago. She wanted to give children in need a safe, loving home. However, Melanie says a potential adoptive child placed with her in 2015 ripped the joy right out of her home. The foster child “ended up sexually assaulting all three of Melanie's adopted sons,” said Melanie’s attorney Jomo Stewart. Stewart said they filed a lawsuit against the County of San Diego, several county employees, and a national foundation that focuses on foster care alleging they all were negligent in placing the child with Melanie’s family. The lawsuit said the county assured Melanie the potential foster child had no history of sexual misconduct, mental illness or any history of wrongdoing. The suit claims that social services concealed the child's past issues and put her sons in unreasonable harm. The suit claims there were several incidents of sexual violence against the other children in the home over the next year. Melanie says her son was traumatized and is still in counseling trying to deal with it. After each incident, Melanie said she reached out to county social services employees seeking help. According to a representative with the County of San Diego’s Child Welfare Services division, as of July 2017, there were more than 3,692 open child welfare cases and more than 2,365 kids placed in foster care, which is less than the year before There are 712 caseworkers but not everyone directly handles a foster child's case. Although there is no mandate for how many cases a social worker can carry the county says caseloads are monitored and assigned on a monthly basis. Case count per caseworker often fluctuates based on changing circumstances of every case. A spokesperson for the county denied all interview requests for this story. However, attorneys for the county did respond to the lawsuit in a court filing asking that it be dismissed. The response noted the records in the county's possession at the time the foster child was placed in the home didn't include any information that would have alerted them that the child may pose a risk of harm. They also claim there are no factual allegations to support that they failed to take appropriate action. After each incident, they did take action by filing a report and commencing an investigation, according to the county's court filing. Team 10 investigator Adam Racusin asked San Diego attorney Shawn McMillan if it’s surprising to see allegations like the ones in Melanie’s complaint against San Diego County and the foster system. “No, no the foster system not just in San Diego County, but statewide is completely and totally broken,” McMillan said. McMillan is one of only a handful of attorneys in California who specializes in child welfare cases. He said one of the most significant problems in the system is that everything is done in secret. According to Melanie's lawsuit, the district attorney's office filed felony delinquency charges against the foster child for sexual abuse, after the placement with Melanie. Melanie said had she known the child's history there's no way the placement would have taken place.